Kyree is our in house window tinter. He's had his hands on film for 4 years now and really enjoys it. He takes great pride in every application and strives to be the best in the area. Steve has been in the auto glass industry for thirty five years. He spends most of his time on insurance work, but his excellent attention to detail makes him successful in a variety of roles, including working both the in-town and out-of-town routes and filling in at the local body shops. Dean is usually out on the road doing repairs. 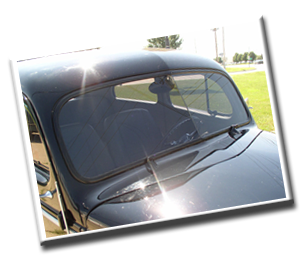 A glass technician for over thirty three years, Dean is comfortable replacing any auto glass, as well as performing regulator repair, sunroof installation and water leak location and repair. When needed, he fills in at the body shops and at Advantage Auto’s home base in Lafayette, Indiana as well. A whiz with a sewing machine, Jimmy is our trim expert. Convertible tops, vinyl tops, seat cover replacement and repair, classic restorations to newer car warranty repairs – Jake does it all. Jake has five years of experience in the automotive industry and also acts as our in-shop glass technician. Corbin is picking up the glass business rapidly. He spends most of his time in the shop or runs mobile with another technician on two-person jobs. Corbin is conscientious and does things correctly the first time. He is already a big asset to the team.